Two pioneering care homes and 11 employees from across the UK were honoured during the 10th anniversary of the Shaw healthcare Star Awards. More than 200 people gathered at The Forest Arden Hotel near Birmingham to celebrate outstanding members of Shaw’s 4,600- strong workforce based at more than 80 care facilities across the UK. 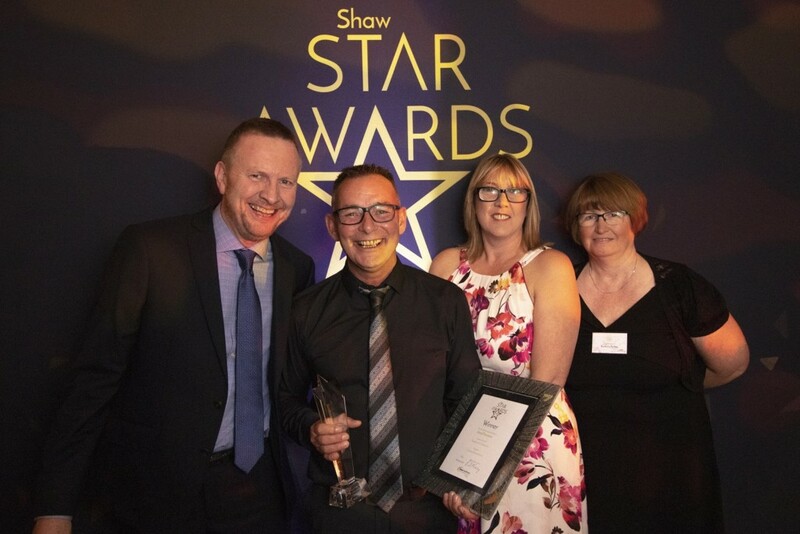 Jeremy Nixey, chief executive of Shaw healthcare, said: “It is incredible to think that the first Shaw Star Awards was held a decade ago, as it has become such an important fixture in the annual calendar. We are delighted to have been able to recognise the hard work of dozens of staff members, over that time, in various roles and from across the Shaw healthcare family. “The Shaw Star Awards is an event that celebrates and acknowledges everything that is great about the care industry; the compassion, the empathy and the camaraderie, but above all else, the ability to make a positive difference to the lives of others. A lot has changed in the sector over the last 10 years, but one constant is the need for great people and Shaw is fortunate to have so many in its ranks. Leanne Cape, head cook at Maes y dderwen in Tredegar, who picked up the star baker accolade.